Today was my session of the “Meet & Shoot” class I co-teach with several other instructors at Photoworks. The class is a five or six session workshop on street photography where each instructor takes a group of students out for a guided photography excursion to a location of their choosing. Students can sign up for all sessions, or pick and choose which ones they want as their schedule and/or instructor preference dictates. This time, I had three new students and three repeat students from the last time I taught this class. Due to some last-minute scheduling snafus, three of the students were unable to make it, so it was a very intimate walkabout, and I was able to teach as much as I was playing shepherd. 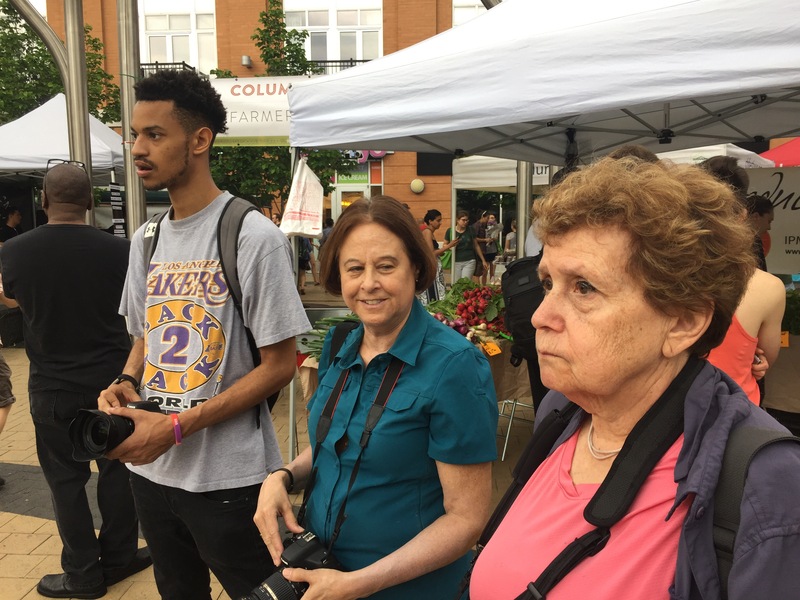 We met at the Columbia Heights Metro station, and once the crew was collected, we took a walk up to the little plaza in front of the Tivoli Theater where a saturday farmers market was in full swing. My three students, seen below (L to R: Matthew, Suzan and Bobbi) wandered around and took full advantage of my guidance for the session to use color as a foundational theme. The farmers market was a perfect opportunity, with all the fruit and vegetables on display. 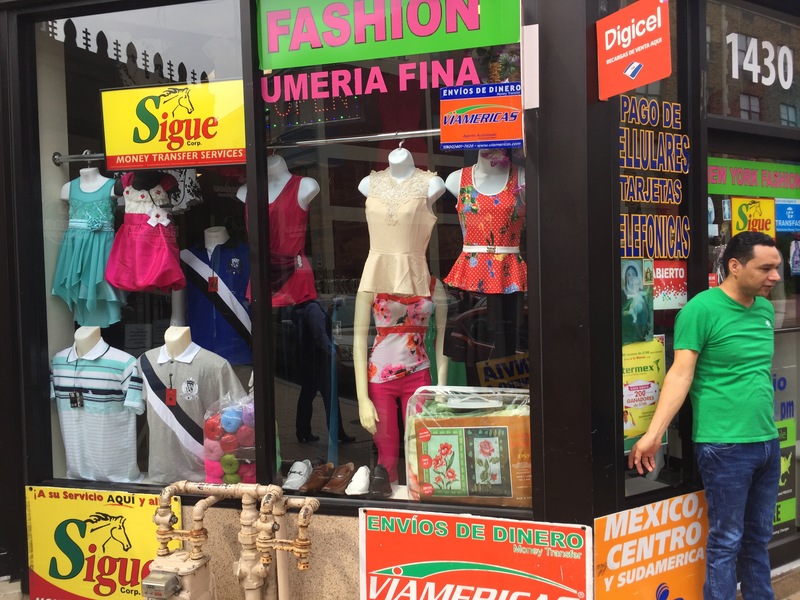 Columbia Heights is an ethnically diverse neighborhood, with a strong Latin-American presence. This is very obvious in the colors and styles of signage on shops and restaurants, and makes for a great subject for a color-based exercise. 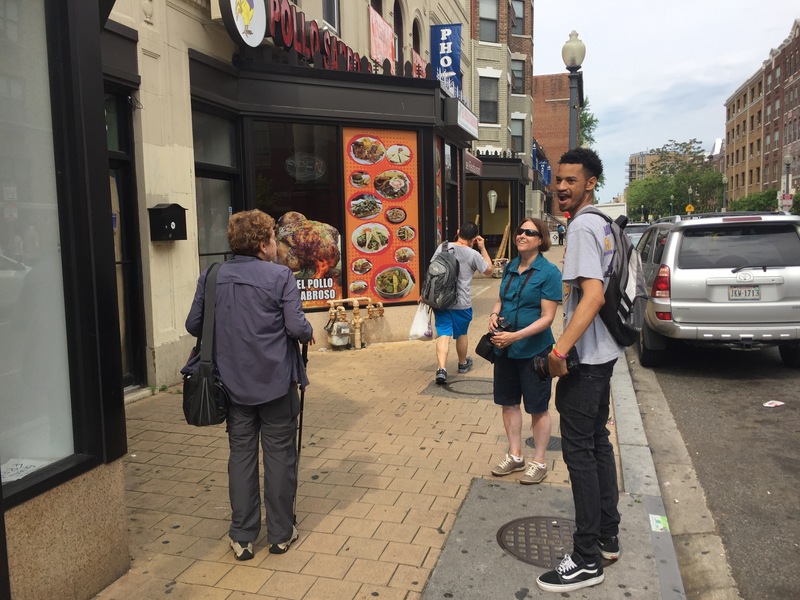 Here Bobbi, Suzan and Matthew are examining some signage on a Dominican restaurant on Park Road. 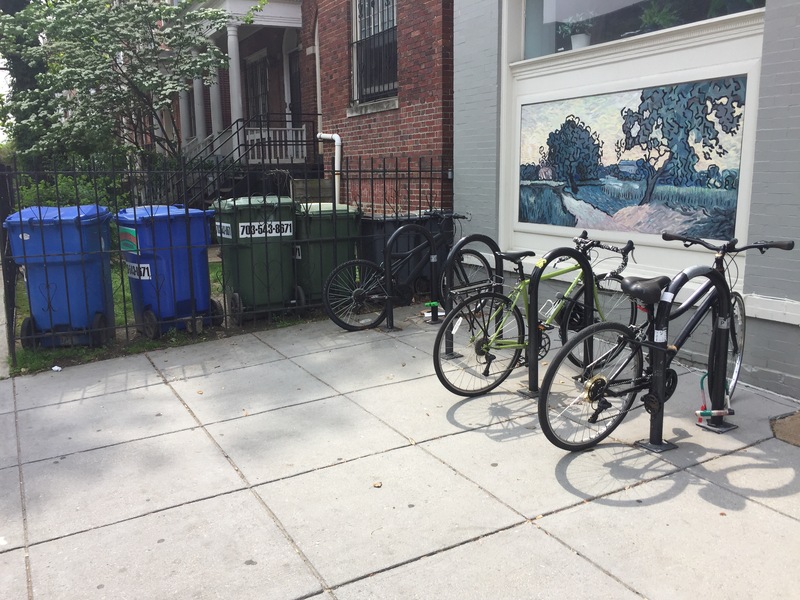 We continued along Park Road over to Mount Pleasant, another neighborhood in Washington DC that also has a significant Latino presence. I took the opportunity to discuss including graffiti and public sculpture in your work as a “street” photographer. If you’re going to include other peoples’ art in your photography, make sure that you have a solid reason for doing so- it’s fair game as documentary, or if your capture and interpretation is transformative (abstract/close-up, for example), but if you’re planning to exhibit and market photos of other peoples’ art, even if it is displayed in public, you’re at best in an ethical gray area, and potentially in a copyright violation scenario. 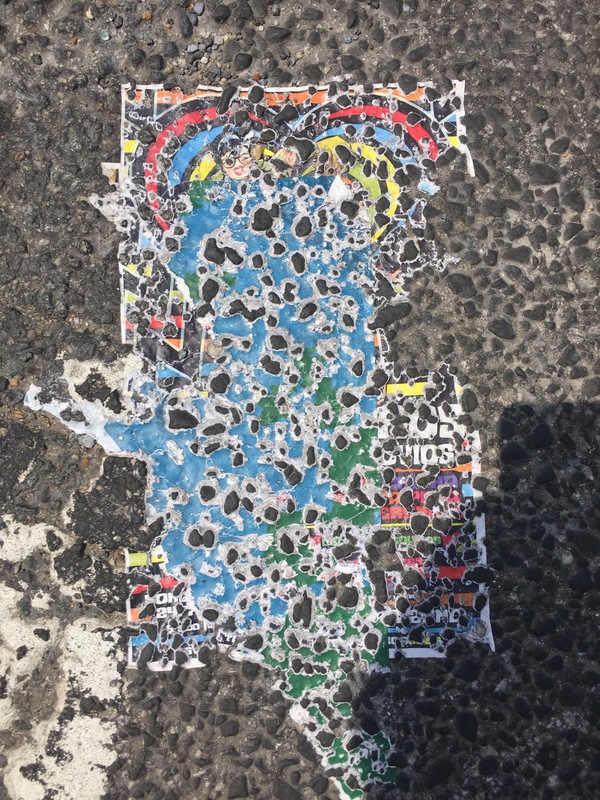 Street photography is very much about found images – you’re not setting out to intentionally create compositions, but rather responding and reacting to things you encounter, like this poster that fell into the street and got run over until the rough pavement surface pierced through turning the whole thing into an abstract composition. We had a great morning of shooting, and wrapped up for a chat at a cafe on Columbia Road in Adams Morgan (another neighborhood bordering on Mount Pleasant and Columbia Heights). I’m very pleased with my students, and I’m looking forward to seeing their images from today at our recap class in three weeks.